Spanning the late eighties to the present, The Blue Bourbon Orchestra is an epic novel narrated by an alcoholic guitarist named Charles Leslie deBeau. With great candor, humor and regret, he tells the story of the greatest force he ever encountered, so powerful that it completely changed the direction of his life and many others: the fading country band The Blue Bourbon Orchestra, and its silver-tongued lead singer, Guy Fisher. 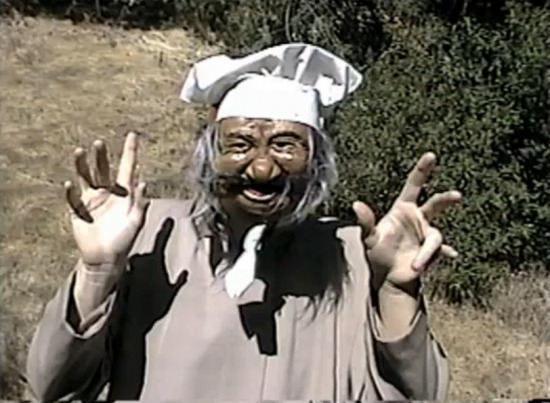 Guy Fisher appears in the trailer in the animated chef mask, playing his character 'The Warlock' in one of the many homemade music videos that he and Charles make out behind his house. 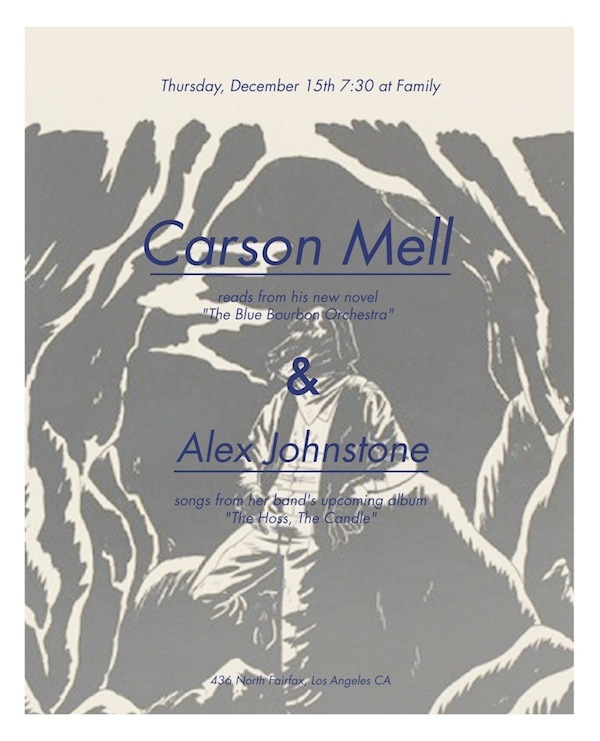 The Blue Bourbon Orchestra was written by Carson Mell,. author of last year's indie hit,Saguaro, The Life and Adventures of Bobby Allen Bird. Plus a performance by Alex Johnstone! 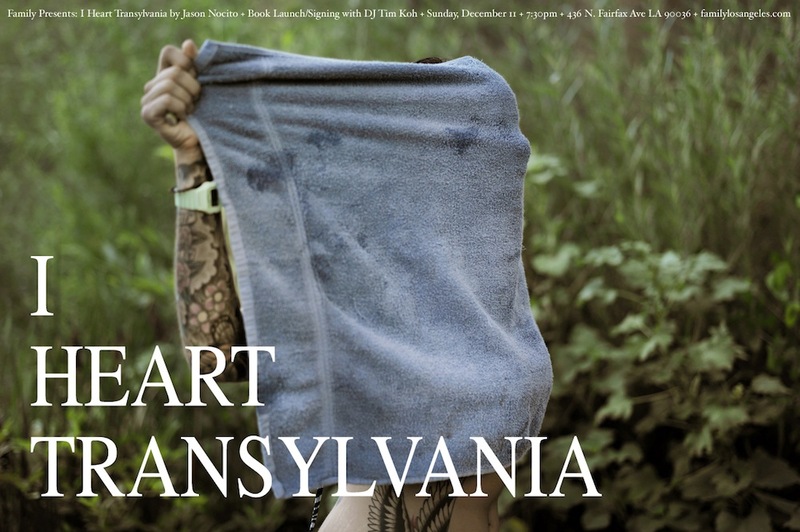 This Sunday join us for a book launch and slideshow with Jason Nocito. 7:30 PM. Tim Koh will be DJing too. Jason Nocito's second monograph is an intimate love story shot in Vancouver, B.C. over four years where his wife Megan lived until 2010. Set amongst the city, its environment and their group of friends.